Here are the front and back sides of an old "New Year Greetings" card.1 The front looks like it's signed by someone with the last name "Kilgore." 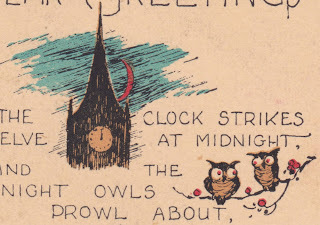 I really love the delicate artistry of the owls and the clock tower. That doesn't seem like enough specific information to successfully carry out the recipe, does it? 1. 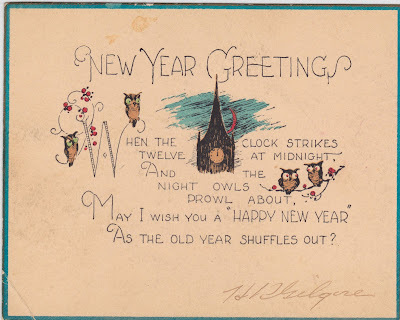 This card was found within the same lot of books from Glen Rock that yielded the bookmark and "Alice and Jerry" reader I wrote about last week. 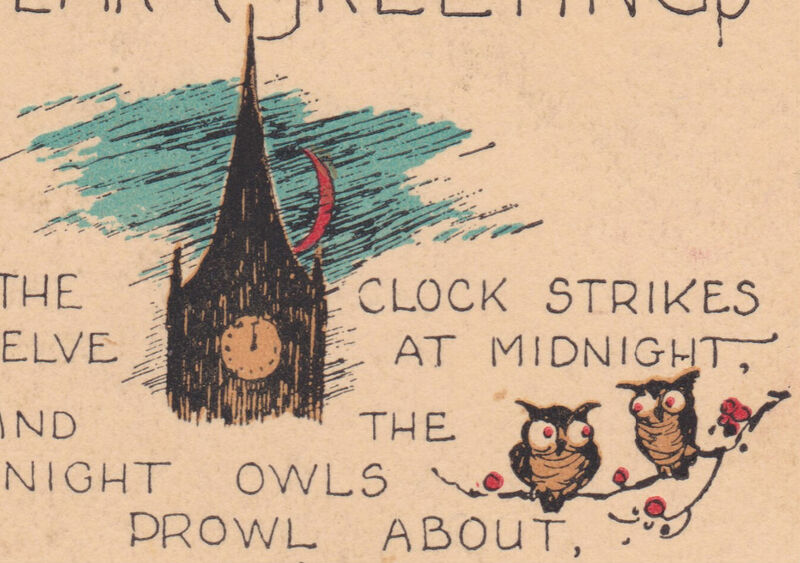 There were a bunch of ephemera goodies within this collection, and it's going to yield some great future posts on Papergreat. 2. Want more sweets? 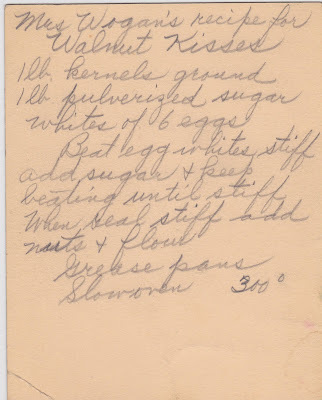 Here are recipes for rio cream and apricot ice cream from a previous post. 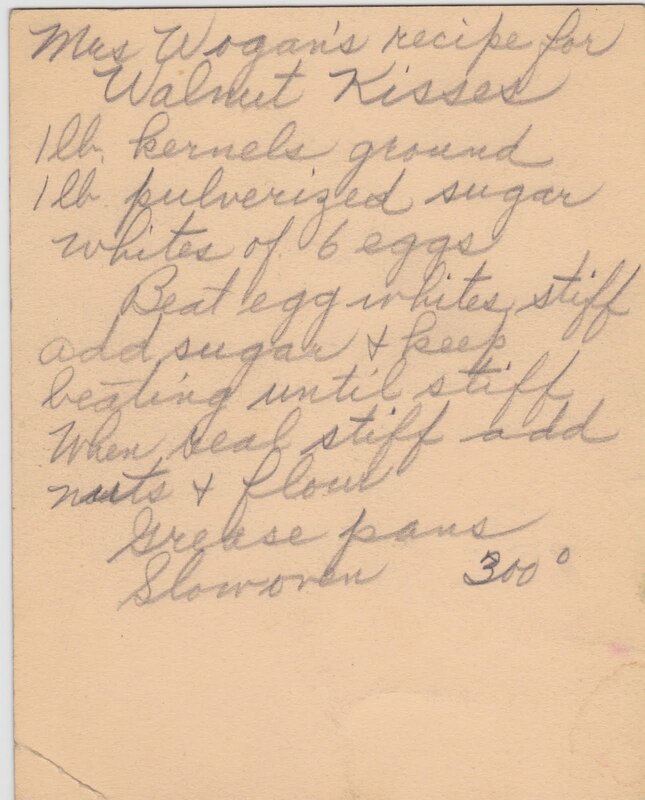 We own "Pennsylvania Dutch Cooking" and I've blogged from it before!